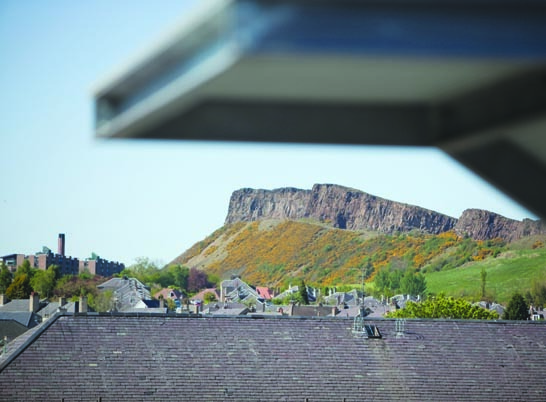 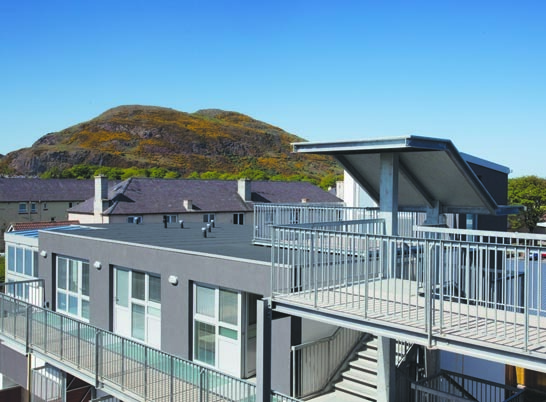 This residential development is sandwiched between verdant playing fields and magnificent views of Edinburgh’s Arthur’s Seat. 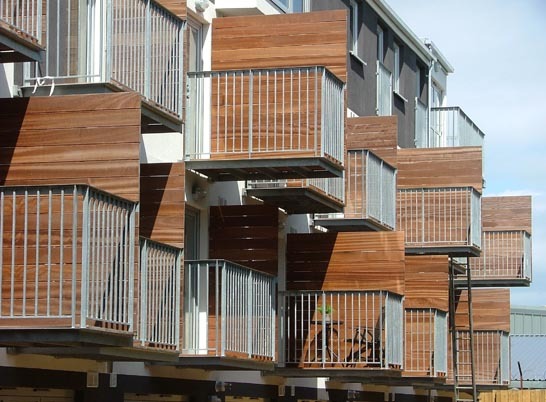 Bordering an area of regeneration, the design responds to the urban toughness by providing elevational play with a restricted palate of materials: render and galvanised steel. 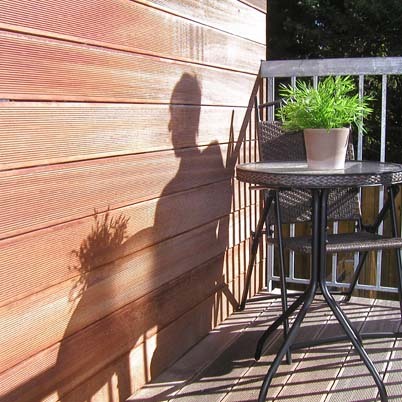 The softness of timber is reserved for balcony privacy screens. 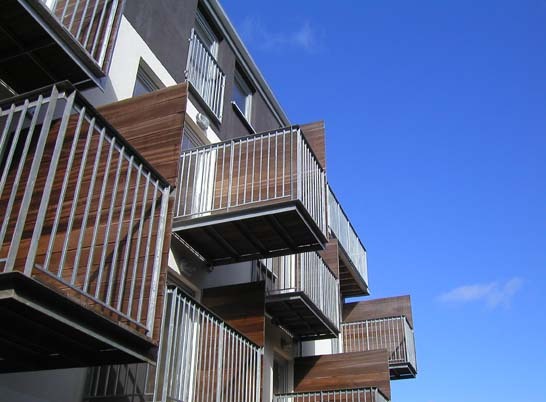 The robust ethic continues internally with well-finished exposed concrete soffits and galvanised steel trunking and balustrading. 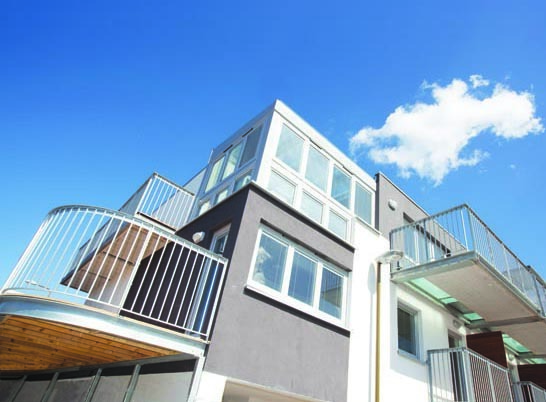 The four storey development takes advantage of the aspect by providing cantilevered decks to the front and balconies to each unit. 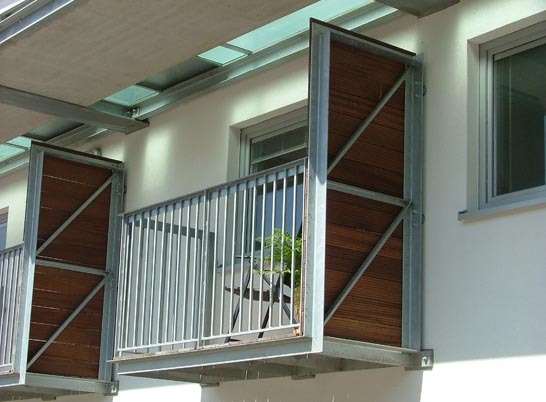 The generic balcony access model is made more generous by the delineation of two zones: a concrete accessway edging the courtyard and a defensible strip of galvanised steel durbar plate with etched glass flooring. 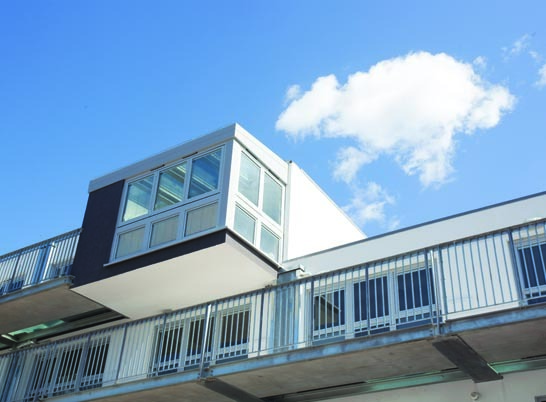 This provides a modest external area which can be personalised adjacent to the common access zone whilst allowing light to filter through. 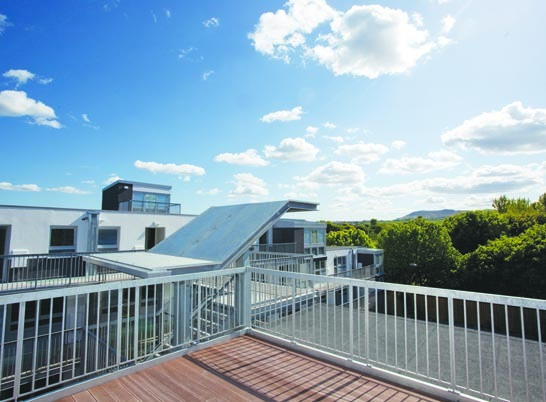 With an unashamedly tough design ethic, the project provides a range of units growing in size from the super-compact one-bedroom Microloft units of 32.5m2 plus rear balcony to 3 bed units with roof terraces. 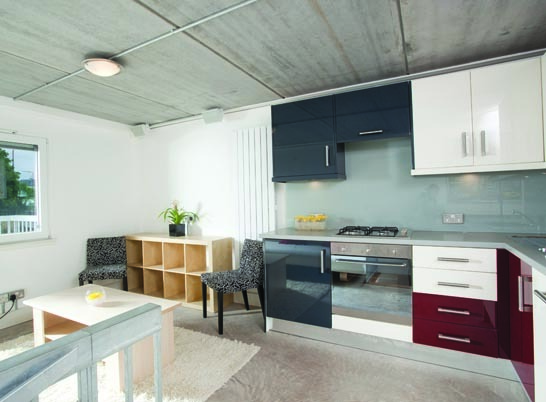 The amenity of these units comes from muscular design, a hierarchy of space prioritises the living area and parcels of external space are provided front and back.